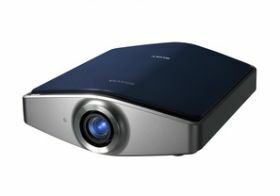 The flagship of Sony’s Home Theater lineup combines the advanced features and technology associated with the legendary QUALIA 004 and the sleek form factor made popular by the VPL-VW100 projector. Three newly developed high frame rate (120fps) SXRD® 1080P chips work together with Sony’s Motionflow technology and black frame insertion modes for Smoother more detailed pictures in fast motion video. The Panel Alignment function allows the precise alignment of R/G/B images with zone specific adjustment to deliver a sharper, crisper picture. An exclusive Carl Zeiss® multi-element glass lens optimizes SXRD chip performance. The Anamorphic Zoom Mode works with an optional external anamorphic lens to allow 2.35:1 aspect ratio viewing. A high output Xenon cinematic lamp maintains ideal color temperature characteristics for natural and accurate color reproduction. Additional color features include RCP (Real Color Processing) and x.v.Color™ technology for further color refinement. The significantly improved native contrast characteristics of the three SXRD chips are dynamically enhanced by the Advanced Auto Iris 2 function for up to a 35,000:1 contrast ratio. Add 24p True Cinema connectivity, RS-232C capability, and two HDMI™ inputs and the VPL-VW200 is destined to be THE choice among videophiles. SXRD™ 1920 x 1080p Full HD Panels : SXRD is a new display technology developed by the legendary television engineers at Sony to meet and exceed the demands of a High Definition image at its full 1080 line resolution. It is a 1920 x 1080p panel characterized by several key benefits -- full HD resolution, smooth film-like image with minimal screen door effects, high response times (5ms rise and fall), high contrast ratios and accurate color rendition. 400W Pure Xenon Lamp : A special 400W pure Xenon lamp provides equal brightness output levels for all three primary colors - red, green and blue, used to create the trillions of colors that can be delivered. Natural and accurate color is reproduced with bottomless whites and spectacular reds. Advanced Iris 2 : The latest evolution of Sony’s own Advanced Iris function uses algorithms designed to analyze the histogram of each picture along with nonlinear amplification to dynamically adjust the iris for its optimum opening. The result is a stunningly high contrast ratio of up to 35,000:1. Images in bright scenes are crisp and clear and black levels in dark scenes are deep and detailed. A manual adjustment option is also available to fix the iris opening for specific image conditions. Ultra Quiet Fan : An exclusive Sony-designed fan efficiently removes heat at a barely noticeable noise spec of 22dB. Obtrusive fan noise is virtually eliminated to allow for flexibility in room placement. ARC-F (All Range Crisp Focus) Lens : A specially developed crisp focus lens was developed to take full advantage of the full 1920 x 1080 HD resolution that the SXRD panel device offers. It offers superior resolution and focus. RCP (Real Color Processing) : Real Color Processing allows the user to target specific colors on the picture and fine adjust their color and hue without changing the overall picture's color and hue. For instance, the color of a strawberry can be fine adjusted without impacting the skin tones. Or the blue in a sky can be adjusted without affecting the color of water. And green grass can be adjusted without influencing the other colors in the picture. 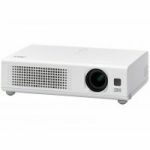 BRAVIA Engine™ PRO Video Processing System : The VPL-VW200 BRAVIA® Home Cinema Projector uses Sony's BRAVIA Engine™ PRO which builds upon the BRAVIA Engine system's outstanding video processing functions making it Sony's most advanced video processing system. It is the culmination of our legendary picture quality expertise, featuring the latest generation of proprietary video processing technology: Digital Reality Creation - Multi Function (DRC-MFv2.5). This technology creates a high-density video signal that traditional interpolation video processing cannot achieve. 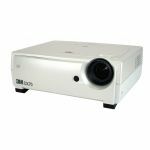 This latest generation of DRC-MF features increased processing power and provides a sharp, crystal clear image with both 480i and 480p standard definition and all high definition sources (except 1080p). It also features "1080p Direct Creation" which minimizes loss in interlace-to-progressive (IP) conversion by performing Digital Reality Creation and IP Creation algorithms simultaneously. Panel Alignment Function : The VPL-VW200 is configured with a function that compensates gaps in character or color management. It is possible to select R(Red) or B(Blue) to make adjustments based on G(Green), and to adjust the horizontal and vertical direction by shifting full image of each color. Anamorphic Zoom Mode : The VPL-VW200 has an “Anamorphic zoom” mode in the wide modes to enjoy wider aspect ratio. With this mode, it is possible to create a full 2.35:1 image just like a movie theater when using commercially available anamorphic lens. 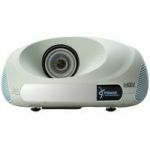 Motionflow™ 120Hz High Frame Rate Technology : Taking motion performance to the next level requires innovation and expertise. Enter Sony's Motionflow™ High Frame Rate technology. Motionflow™ detects the incoming video signal and applies the appropriate processing for optimum motion reproduction. Taking full advantage of film sourced 24fps encoded content available on DVD and Blu-ray Disc, Motionflow™ eliminates the need for 3:2 pulldown and delivers smooth, judder free video, faithfully preserving the integrity of the original film. When 60fps content is detected, Motionflow™ doubles the amount of frames and uses real-time calculation to create a new level of natural motion reproduction. You'll experience movies and sports with a greater sense of realism than ever before.